It's that time again: New Contrary Polish Collection Day! It's a holiday, y'all. This time, we're going to be taking a look at my swatches of the new No Place Like Home collection, a beautiful fall mix of polishes that are all based on neighborhoods in Kansas City (read more about it on the Contrary Polish blog). It even includes a glow in the dark polish! SAY WHAT? 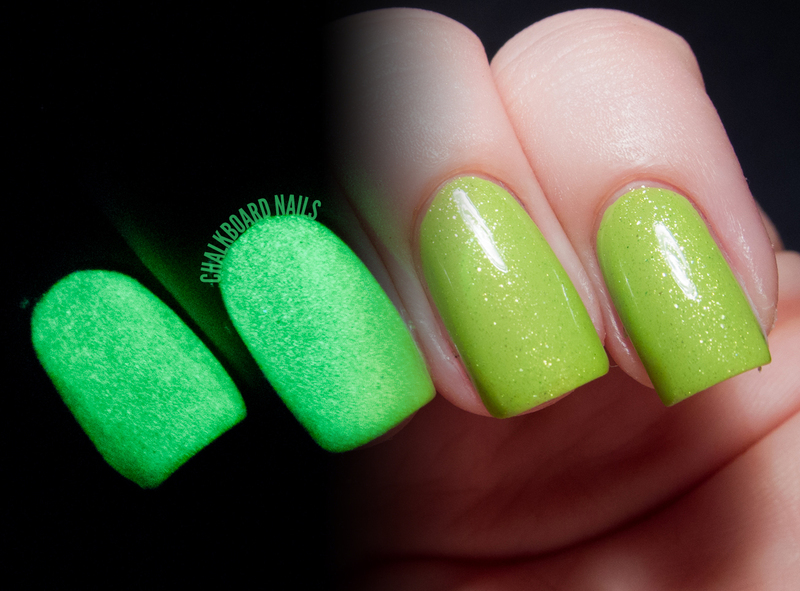 I've also got some bonus swatches of Gift Wrap, a polish created to celebrate Contrary Polish's 1 year paper anniversary. It's not shown in the collage above, but TRUST ME, you don't wanna miss this one. 18th and Vine is a rich blue-purple with dainty pink shimmer. Two coats shown, first in direct light and then indirect light. 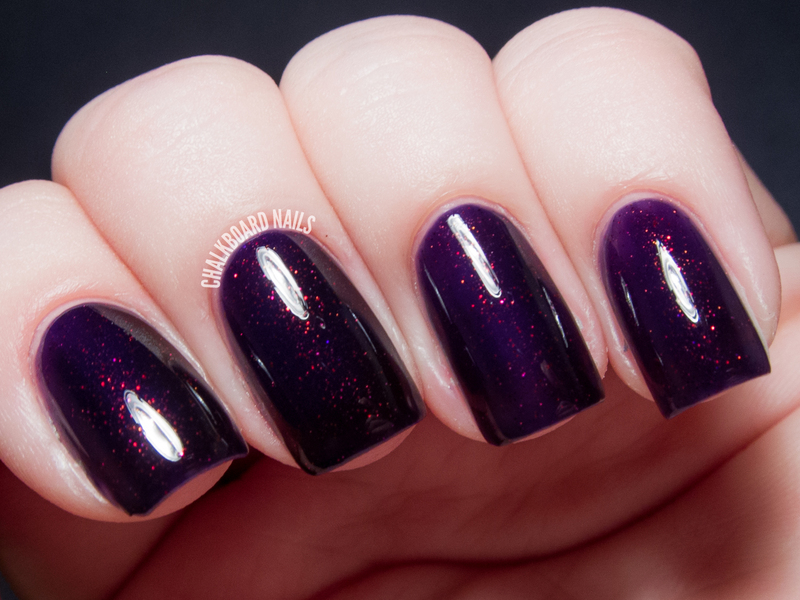 River Market is a gorgeous deep purple jelly with a fiery raspberry shimmer. This shimmer reminds me of the shimmer in Clarins 230, intensely sparkly and magical. This is three coats. You can see that I applied it a little thicker on my middle finger so it appears deeper and darker than the polish on my other fingers. The Boulevard is a dusky blue-green with intense orange shimmer. At the risk of getting too poetic, it reminds me of rainfall in the light of a streetlamp. Shown here are two easy coats. The Plaza is a concrete gray base with blue, red, and gold microglitters. This one has more of a glitter-type effect as opposed to a shimmery effect, which makes it a nice balance to the rest of the collection. Plus, you guys know I can't resist a good grey. Three coats shown. West Bottoms is the magical glow in the dark polish! It has a limey yellow-green jelly base with heavy gold shimmer, but I found it just the tiniest bit too sheer to wear alone. Instead, I chose to layer two coats of West Bottoms over LCN Fanappleistic, which turned out to be the perfect complement to this jelly shade. Check THIS out -- new glow in the dark photo style? Perfect for pinning (wink wink)! The glow in the dark effect was very strong, I'm definitely a fan of this one. 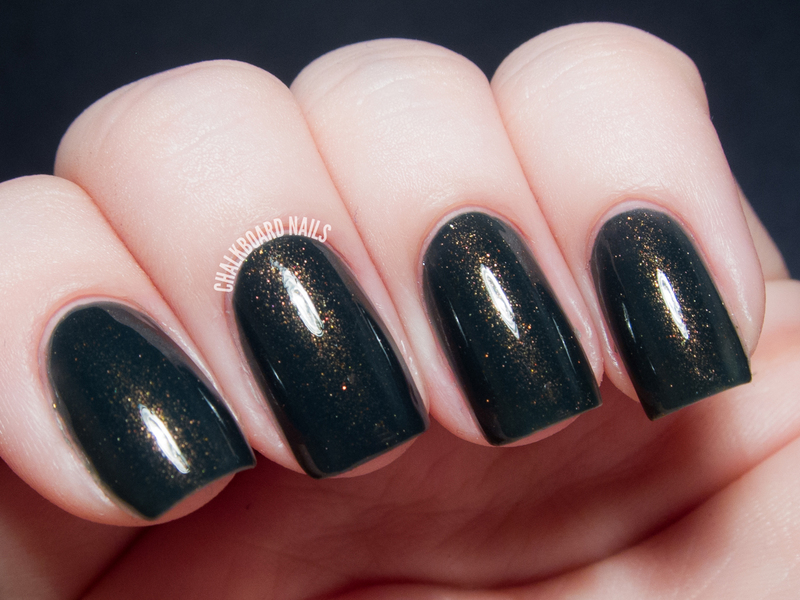 Westport is a dusty olive with gold shimmer. There's something enigmatic about this one. Perfect for fall. Three coats shown. Okay, now on to what is possibly my favorite Contrary Polish of ALL TIME!? Gift Wrap. Look at this you guys. LOOK! This deep grape base has an icy blue shimmer, and it is perfection. Two coats shown. Which ones are your favorites? As usual, the formula was smooth and even. Definitely polishes worth adding to your collection, I say! Contrary Polishes are available in full size on Llarowe and in minis via the Contrary Polish blog. This collection is releasing today on Llarowe at 12pm MDT and again at 8pm MDT. You can also keep up with the brand on Facebook & Twitter. Go get 'em! I was scrolling over the swatches and I had to look back to river market. It's a gorgeous colour! River Market and Boulevard are amazing! I love Gift Wrap too. I definitely need to add these to my collection. River Market is my favorite! I love Westport, but maybe that is because I used to live in Westport. Oooooooohhhh..... River Market and Westport. River Market and Gift Wrap <333 want! I love polishes with that kind of shimmer. River Market and The Boulevard are my favorites.